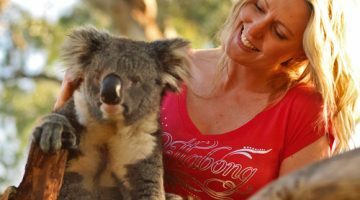 Otway Discovery Tours has been taking backpackers, families and travellers from all walks of life to some of the best spots and attractions that Victoria and greater Melbourne has to offer for over 20 years now. We understand that for most this is the one time in your life that you will be visiting these amazing locations and that it’s up to us to make sure that it is an incredible memory. 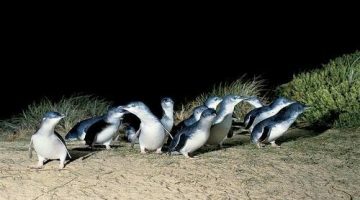 Whether you’re ticking the 12 Apostles off your bucket list on a Great Ocean Road Tour or you’ve always wanted to visit the Penguin Parade at Phillip Island we’ve got you covered with amazing experiences along the way. We go to amazing wildlife sanctuaries, the best scenery and photo spots and have many unique experiences from lighthouse stops to sheep shearing. Our trips will leave you with long lasting memories and friendships to last a lifetime. 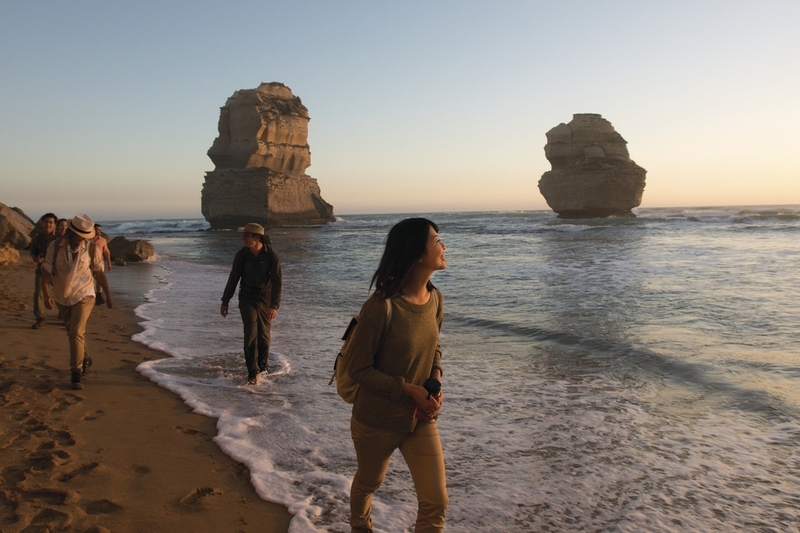 Why Choose Otway Discovery Tours for your melbourne day trip? We’ll make sure that your questions are answered and trip is booked in. Get in touch with us using email, live chat, walk in to our central Melbourne office or give us a call and we’ll have you sorted in no time! We pickup and drop-off in the City and St Kilda from out the front of over 70 accommodations so you can be sure there’s one near you. For most of our travellers this will be the only time you will be visiting these fantastic locations which is why it’s up to us to ensure that you have the most amazing time possible. 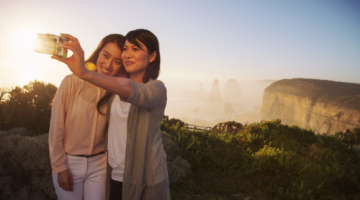 Our goal is to make sure you go home with amazing memories, photos and friends to last a lifetime. Our maximum group size is 24 to 27 people allowing us to provide more personalised service and get to know everyone on board. We make sure our vehicles are maintained to a high standard so that you can sit back, relax and enjoy the ride. Our tours are full of inclusions and unique experiences at the best locations. Not only is it our goal to make sure you have the best experience, but our experience of over 20 years in the industry means we sure know how to do it! The Great Ocean Road is a 242 kilometre long stretch of heritage listed coastal road along the south west coastline of Victoria, Australia. It runs from Torquay 1 hour and a half southwest of Melbourne until the small town of Allansford, near Warrnambool. It’s considered one of the top ten drives in the world and is often people’s number one reason to visit Victoria. Construction of the Great Ocean Road began in 1919, plans for the road had emerged as early as the 1880s but had not gained much momentum until after the World War One. Alderman Howard Hitchcock – the mayor of Geelong was responsible for bringing the plans to fruition after forming the Great Ocean Road trust as a means of raising money to finance the project. The budget for the Great Ocean Road was set at 150,000 pounds. The road was seen as a way of connecting small coastal towns and communities and establishing a touring route along the coastline to attract tourists to Victoria. 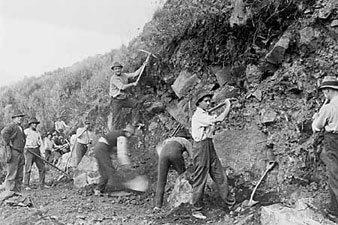 Not only that but it was also seen as a means of employing returning soldiers from World War One as there was not a lot of work available at the time. It is considered the world’s largest war memorial as it was built in memory of the soldiers that lost their lives during the first world war. The Eastern View to Lorne section was opened in 1922 and a toll point was established at Eastern view to help pay of the construction. This is still there today and is now known as memorial arch It ceased to be a toll point when the road was handed over to the government in 1936.
and go on an unplanned two week break while consuming the wears. One can only imagine the fun times they must have had! 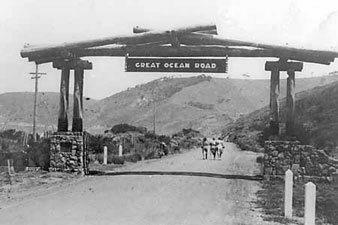 The remainder of the Great Ocean Roads construction was officially completed by 1932 and a second “opening ceremony” was held as well as a weekend full of festivities and celebrations. What can i see on the Great Ocean Road? There’s plenty to see on your drive along this spectacular coastline and you can think of it in 3 sections. The first is the surf coast where you can visit charming coastal towns such as Torquay, Anglesea, Aireys inlet, Lorne, and Apollo Bay. All of these places have accommodation, cafes and restaurants aplenty as well as beautiful beaches for swimming in. Memorial Arch is located just after the town of Aireys inlet which is home to Split Point lighthouse. You can also spot Koalas and local birdlife in Kennett River and surrounding areas. The next Section is the Otway Rainforest where you can walk through the rainforest and feel small amongst the massive mountain ash trees while breathing in some of the freshest air in Victoria. You can venture off the Great Ocean Road and head down lighthouse road spotting wild Koalas along the way before arriving at Cape Otway Lighthouse where you can take in the views of the coastline from the top of this historic beacon. 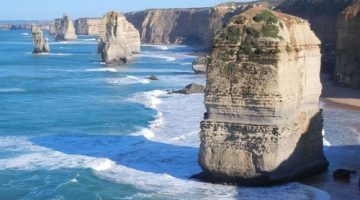 The end of the Great Ocean Road is the Shipwreck coast and it makes for a mighty finally with amazing areas to check out such as Loch Ard Gorge, the Gibson Steps, Bay of martyrs and London Arch. It’s no secret that most people that come here are most excited about viewing the spectacular 12 apostles rock formations. These limestone rock stacks make for a spectacular photo and memory and are on most people bucket lists. These are just some of the spectacular spots along the great ocean road. Explore it with us to find out just how amazing it is.